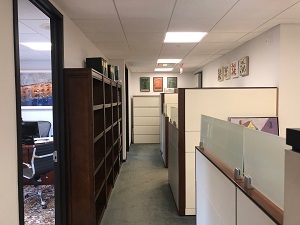 Two exterior offices are available for immediate occupancy in a recently renovated suite in the Architects & Designers Building. 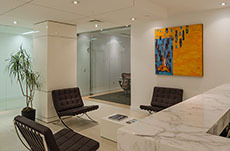 In addition to housing some of New York’s finest interior design showrooms, the A&D building is home to the Consulate General of Spain and to some large New York City real estate development firms among other boutique commercial tenants. Office rentals are $2700 and $4000 per month. We practice international tax and corporate law. Ideal tenants include other attorneys or professionals with a complementary practice. All practitioners are welcome. 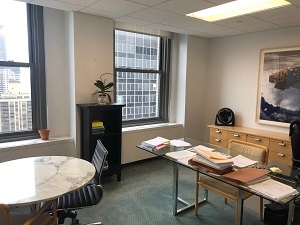 Our family law firm, Drexel LLC, is offering for sublease offices on the 29th floor of the historic Daily News Building on 42nd Street, just 2 blocks east of Grand Central terminal. The space has been extensively renovated and modernized in stages over the last several years and is in beautiful condition. 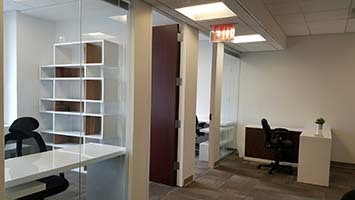 It consists of 2 partner and 2 associate offices, as well as 2 interior cubicles. 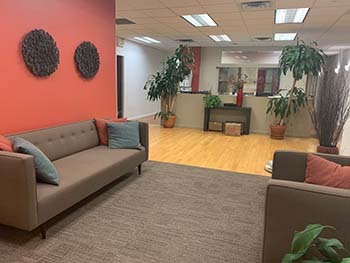 The entire space is available at $15,700 per month; individual offices may also be subleased for between $2,500 to $5,000 per office. 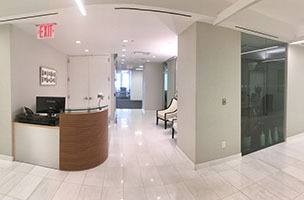 The 2 partner offices, 1 of the associate offices, and the cubicles are in a private suite immediately behind the floor's common reception area. The second associate office is just down the hall from the enclosed suite. 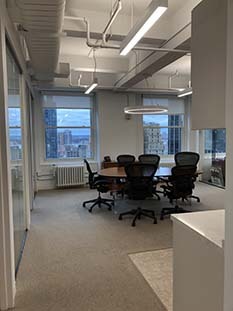 The floor features gorgeous northern and eastern views (the latter overlooking the East River and Tudor City), 2 conference rooms, a shared receptionist, high-speed internet and voice-over-IP phone systems, newly upgraded restrooms and kitchen, and furniture. 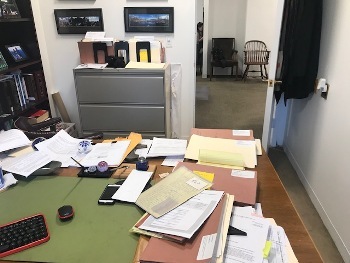 Our neighbors on the floor, mostly from other boutique law firms are a great bunch – quiet, collegial, and friendly. Three years remain on the current lease, but it may be renewed for another term beyond 2022. 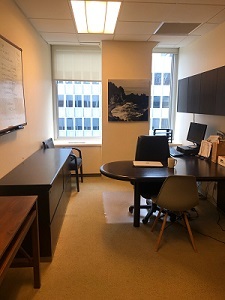 General corporate attorneys with international practice offer office space that includes 2 furnished windowed offices, a workstation, a conference room and separate entrance for sublease (terminable on 60 - 90 days’ notice - to discuss) starting April 15. Perfect for commuters. We are in Midtown Manhattan, near Bryant Park with easy access to Grand Central, Penn Station and major bus and subway lines. Facing towards the west from the 33rd floor, the views and sunsets are extraordinary. We are asking $2750 for each office, $500 for the workstation. 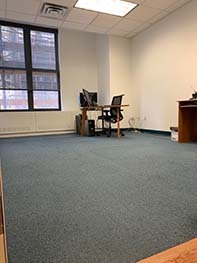 The entire space is available for $5500 (2 offices, one workstation and conference room). 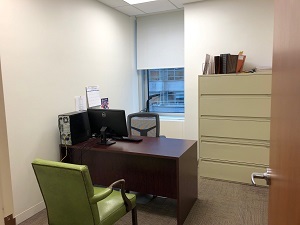 One large renovated private office and reception cubicle are available immediately for rent in a spacious Downtown Manhattan suite shared by members of small law firms and solo practitioners. 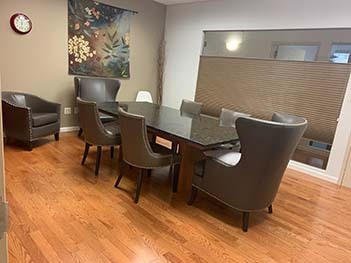 This charming modern suite is on the seventh floor of a rare Hellenic Renaissance Style skyscraper within the Financial District right by Bowling Green, the Charging Bull, and Battery Park. The building is secure with a lobby doorman and maintenance staff. Nearby transportation options include multiple subway lines (4,5, R, J, Z, 1, 2, 3), Path Train and the Staten Island Ferry. Many restaurants, the courts, Wall Street, the NYSE, FINRA, and other big businesses are conveniently located within walking distance. The courts are a quick subway ride or a longer walk away. 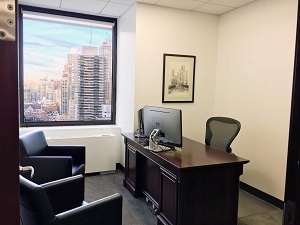 The office atmosphere is usually quiet and collegial with a friendly connected group of legal professionals. 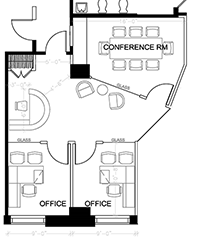 There are two conference rooms shared when needed by suitemates without any conflict. An excellent phone system, high-speed internet, state of the art-copier/printer, postage services, and IT support are available. This contemporary suite is fully furnished with contemporary wooden décor and basic office essentials. Our kitchenette is always stocked with filtered water, coffee, tea and additional options that could be ordered upon your request. This high-ceiling suite is open and tidy with staff coming in to clean the office daily. The office has freshly-painted walls and cleaned carpets. 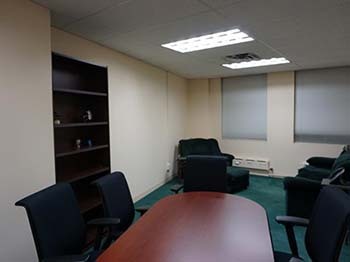 There is one large private office with enough space to accommodate multiple employees if needed. 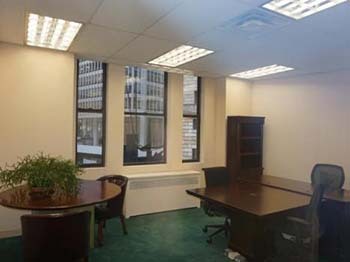 The larger office is 12x18' in size with large windows featuring scenic views of the Statue of Liberty. The office is priced at $2450. 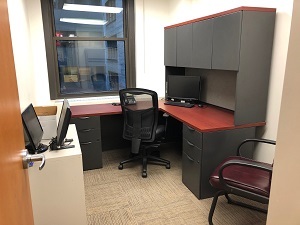 There is a front cubicle, ideal for paralegals, available for $450. There are no broker fees. The available spaces can be leased separately or together. Deposit required. 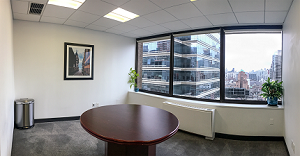 BEST DEAL ON BROADWAY – CORNER FACING – HIGH FLOOR SENIOR PARTNER OFFICE – WALL OF WINDOWS – BOUTIQUE LAW FIRM – COLLEGIAL AND ELEGANT SUITE. This well-appointed, modern suite is on the 20th floor, with an entrance immediately off the elevator lobby. 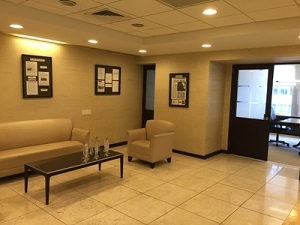 A nicely furnished reception area leads to a corridor which passes a spacious conference room, private offices and at the end sits your prestigious office – furnished with a coordinated desk, credenza, file cabinet, high backed chair and client chairs. A wall of oversized windows faces out to the North and Broadway. 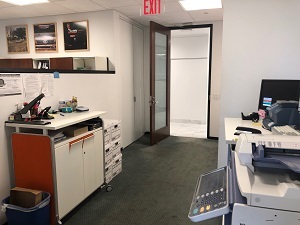 The balance of the suite encompasses all windowed attorneys’ offices, secretarial/assistant workstations and a combination pantry/scanning and duplication center. A work station can be also available for your assistant if required. All in all – a great professional profile to present to your clients. The attorneys in this suite are high pedigree practitioners with diverse practices in business and commercial law and litigation. We frequently refer business to each other when appropriate. 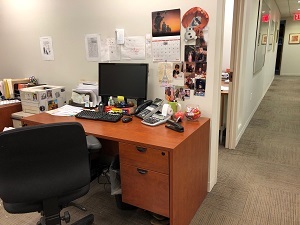 High speed copy/scan/fax is available and the incoming tenant can use the VoIP phone system (direct dial & voice mail) and Internet at no charge. 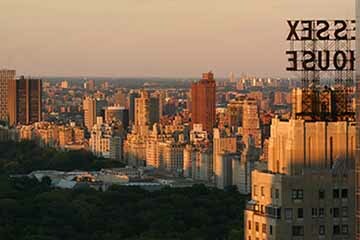 Located in Times Square South with excellent access to all subways, Penn Station and Grand Central. Each office can be rented individually or together to suit your needs. 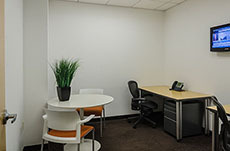 Premium location, beautifully appointed conference rooms with dedicated Receptionist. Includes use of phones, kitchen, Keurig coffee, copy machine, scanner, fax, postage machine, internet access and more. Conveniently located and close to multiple subways and Grand Central. Easy commute to Penn Station. Call or email with any questions or to schedule a visit. Contact: Rosa Abel 212 935-6020 rabel@kleinzelman.com Date of Posting 02-13-2019. 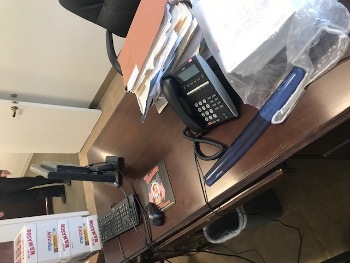 We have three Law offices for rent in a Wall Street law firm, the large offices are $2,000 a month and the small office is $1,000 a month. Lawyers or accountants only. Please call Tom Reilly 212-635-0509. Date of Posting 02-05-2019. 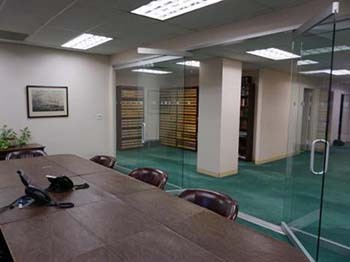 This group of offices is ideal for a 5-7 Attorney or Accountancy firm. The offices are large and freshly painted. Use our furnishings or bring your own. Plug into your internet and phone system - and move right in. This is an opportunity for a small firm to let someone else worry about the facility and amenities - The 5 offices are adjacent. The 23' office is large enough to be a team room. The rooms are in a cul-de-sac in the office, offering independence and privacy. This is a 3-year sublease. Several of the offices look out on to a small City park, offering an expansive perspective. The building has a brand new lobby and elevators - and the space even has a shower en suite for the lunch time running crowd! This is an unusual opportunity for a small firm to move right in and only have to worry about a single check each month. The Host firm is a small group of affable attorneys. This is a very nice, quiet working environment and it would be ideal for a start-up firm as well as an existing practice. For more information, please contact Neal Lerner at 212-986-9100 or nlerner@lookingforspace.com. Date of Posting 01-28-2019. 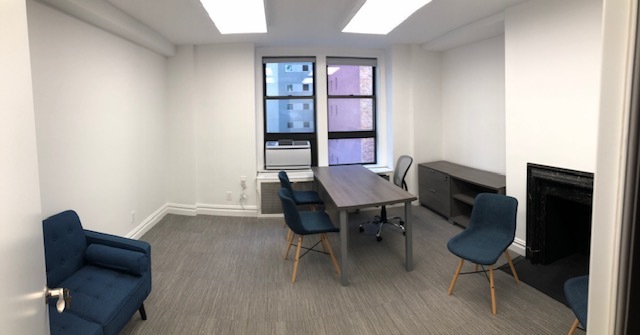 I have three newly renovated offices available on 54th Street between Park and Madison, with prices ranging from $2500 to $4000 per month. 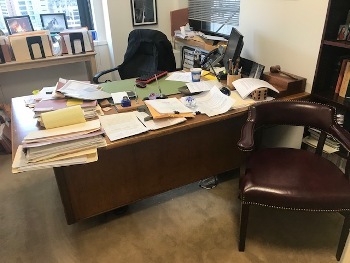 As a mediator who values a professional environment and has my office next to the ones that are available, I am looking for other lawyers and similar professionals for the space. Please call 212.655.9793 for more information. Date of Posting 01-22-2019. Part-time space also available to a limited number of attorneys. 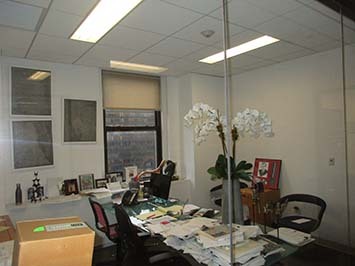 Offices ranging from $2,000 - $3,800 per month. Verizon FIOS internet, High Tech phone system allows you to route calls as you see fit and emails your message to you. 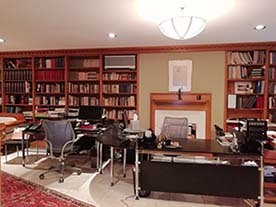 Law library, high speed copiers, large conference rooms and reception area included. In order to help us minimize spam, for contact information, please visit our website at: www.theblanchlawfirm.com. Ask for Deborah Pereira. Date of Posting 01-09-2019. 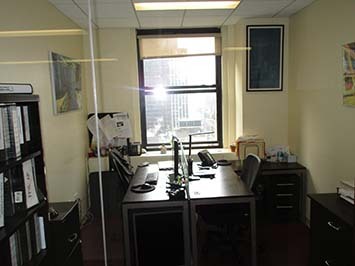 Large, brand-new, furnished private office available for rent in a small media-firm law firm. 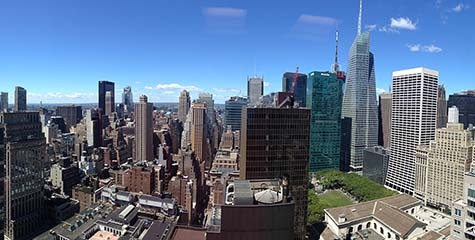 The office is on the 20th floor of the historic and recently renovated Paramount Building in Times Square. 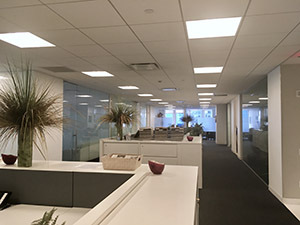 The law firm office is bright and airy, with light on three sides, including west across the Hudson. There is also an additional, optional space for a secretary or assistant. 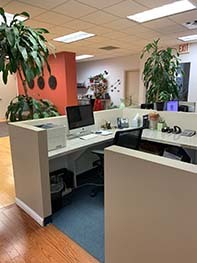 Computer, phone, kitchen, conference room and related services are all available. Office: $2500/month. Assistant location: $800/month. 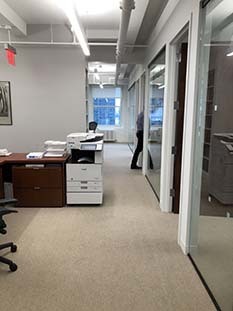 To see the space, call Hortensa at 212-752-9200. Date of Posting 12-3-2018. 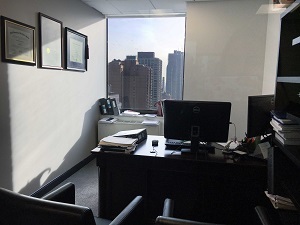 A very large corner office is available in a top-of-the-line facility built by a boutique commercial law firm. 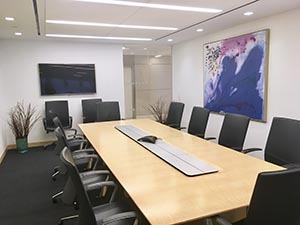 This space, with sweeping views and first-rate construction, is ideal for a senior professional accustomed to first-class facilities and an elegant environment. 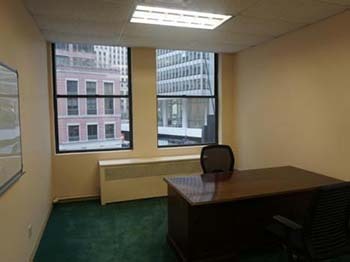 In addition to the corner office, there is also administrative work station space available. The space as a whole has sweeping views from a high floor, great light and an open and modern feel. High-quality amenities, such as state-of-the-art IT and A/V facilities, as well as reception and related services, are included. 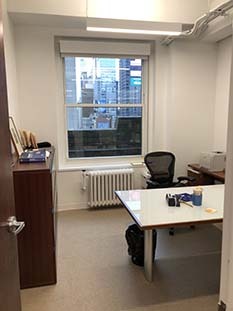 This iconic midtown space is perfect for a senior partner or firm principal in any industry looking for a suitable place to practice among professionals of like mind, background and work habits. While lawyers are especially welcome, professionals in other fields are also encouraged to visit the space. 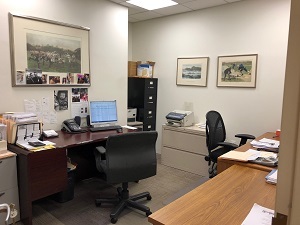 Space suitable for junior associates / assistants may also be available if needed. Quality furnishing can be available. 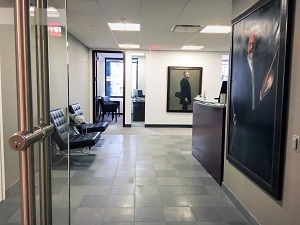 For further information, pricing and to arrange a visit to the premises, please contact the Firm’s principals at: 212-713-0001. Date of Posting 11-30-2018. Modern suite with law firm infrastructure, furnished or unfurnished, plus work stations. Corner offices and river views. Located one block from Courts & City Hall. 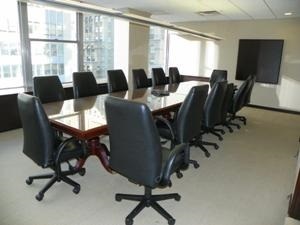 Features: Receptionist, conference rooms, legal library, modern kitchen, file space. Please call Andrea at (212) 285-0510. Date of Posting 11-27-2018. 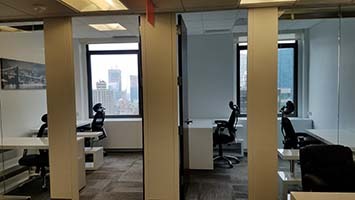 This office share is priced to go at an affordable $910 a month. Office Share with fellow attorney. 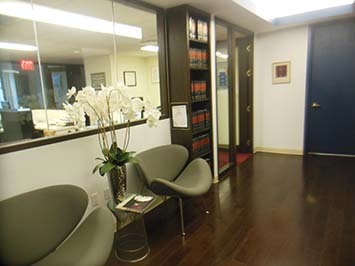 Office is a share suite with lawyers and other legal professionals. Office has flat screen tv. The common space includes share kitchen with coffee/tea available for you and clients. High-quality amenities, such as state-of-the-art IT and A/V facilities, as well as reception and related services, are included. 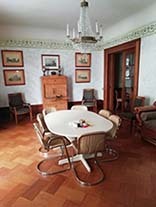 Conference rooms are state of the art with flatscreen tv and marble table. 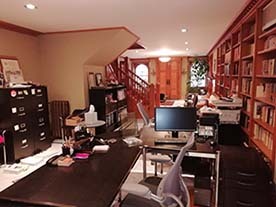 Space is ideal for a solo practitioner or an attorney with an assistant. Either one or two individuals can be accommodated in the office share and you will experience first-class facilities and an elegant environment. 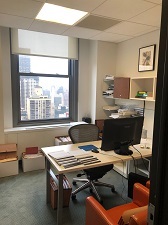 This iconic midtown east space is perfectly located near Grand Central Station.The office share is perfect for a firm principal looking for a suitable place to practice among professionals of like mind, background and work habits. 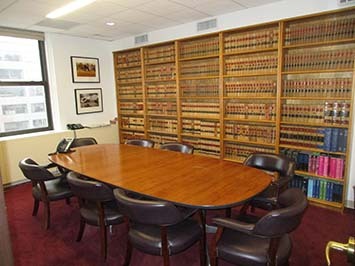 The office is a share with another attorney, so only lawyers will be considered for the office space. Quality furnishing is available, including file cabinets and desks. The space is at an affordable price of $910 a month.